Due to our rich experience in this domain, we have been able to offer optimum quality Fly Ash Bricks to our valuable customers. 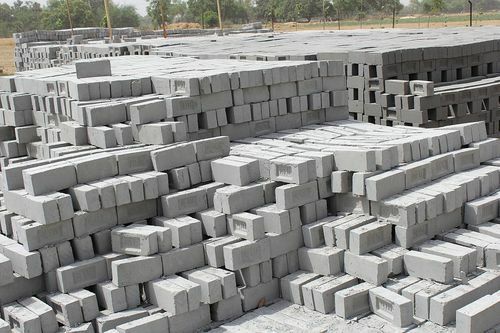 These bricks are available with us in bulk quantities owing to our rich vendor base, well-equipped warehousing unit and large production capacity. Owing to their dimensional accuracy, seamless finish and durability, these products are highly demanded in the market. Incorporated in the year 2014, we "Pragat Tiles & Cement Products", are reputed Manufacturer and Supplier of wide range of Paver Blocks, Chequered Tiles, Plain Tiles and Mosaic Marble Tiles. These tiles are processed using advanced technology and high grade ceramic as per the international quality standards. The offered tiles are highly demanded in the market for their features like perfect finish, scratch resistance, easy to clean, attractive design, long lasting shine and lightweight. Apart from this, we are also providing RCC Door Frames, Concrete Poles and Cement Window Frames. Under the supervision of our experts, these products are constructed using cement and latest machinery. Our quality inspectors ensure that all the products are checked on well defined quality parameters. We also provide Paver Block Installation Services to our clients.